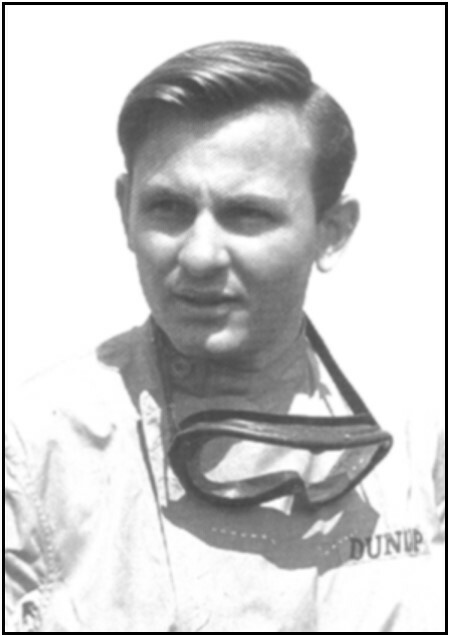 Bruce McLaren's first car arrived as a box of engine bits and a sorry looking rolling chassis...a couple of years later he entered his first event. 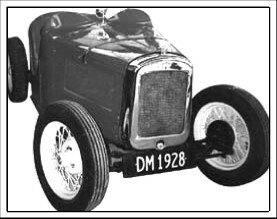 Bruce's automotive awakening came in the form of an Austin Ulster, an open race version of the ubiquitous and popular Austin Seven. 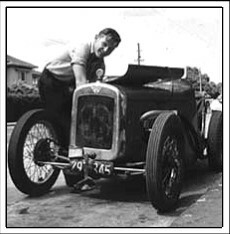 Les McLaren, Bruce's father and Chairman of the Auckland Car Club, bought the Ulster with the intention of competing in it in the variety of hill climbs and sand races which were a major feature of the Kiwi racing scene then. The motor sport community wasn't big in those days, and everyone knew everyone else. Car swapping was common - both at events and on a more permanent basis. Herb Gilroy, another amateur racer who was a member of the Northern Sports Car Club, owned the little Austin in 1946, having bought it from a schoolmaster who lived in the town of Hastings. When the McLaren clan got the car, most of the mechanical parts had been removed, prior to a complete rebuild, so it looked a very sorry sight as it was towed home. Bruce wrote in his memoirs that he "...eyed the dilapidated Ulster on the end of the rope with deep suspicion. Racing car indeed!" It took a year to collect the parts and put the Ulster back together again. A year when Les, known to the family as Pop, taught his eager son a great deal about how cars work and what the various bits all did. Eventually the car was ready and Pop set off on a road test. He came back pale and shaken and in Bruce's words: "It was the most diabolical racing car he could imagine. Sure, it went all right, but it wouldn't stop, it wouldn't steer and, as for the handling...words failed him!" Les wanted to sell the car right away but Bruce persuaded Pop to hang on to it - in fact give it to him, despite the fact that he was only 13 years old and still over a year away from his 15th birthday when he could legally drive in New Zealand. Once Pop agreed, Bruce turned the family back garden into a miniature Brands Hatch circuit and spent the next year annoying the neighbours and learning to drive. "One day," he wrote later, "I overcooked it. The gravel patch at the end of the 'circuit' formed a tight right-hand turn between the house and the garage. I came onto this gravel so fast that even I knew I wasn't going to make it. I shut my eyes, held my breath and went straight ahead along the side of the house, missing everything by a coat of paint and coming to a shaken halt. My first reaction was relief at my masterly evasion of an early demise, but when I realised what I must have done to avoid the side of the house I was thrilled. I'd held an opposite lock slide - and told everyone about it for days." 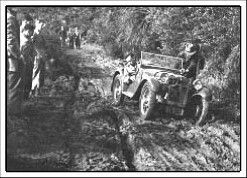 P op was in hospital when Bruce entered his first event, a hill climb at Muriwai Beach, about 25 miles outside Auckland. Hi s words of warning to the youth were short and to the point: if you damage so much as a mudguard, the Ulster's gone for good! Bruce recalls: "This probably did me the world of good, as I was so busy being scared of bending my car and having it taken from me, that I forgot to be nervous about my debut. I took things reasonably steadily, with Pop's lecture in mind, as the tail of the little Ulster slid on the loose metal corners and reached the top in one piece. When all the runs were over, I learned with amazement that I had made fastest time in the 750cc class." It was a magic moment for the youngster and his affection for the Austin Ulster remained constant. He recalls in his memoirs how he learned at what he calls "a comparatively safe speed" what happens to a car when it begins to slide and how to deal with it when it does. He also learned the importance of painstaking maintenance and car preparation and how it can mean the difference between victory and failing to finish. All the while Bruce was learning and becoming ever more capable mechanically. In 1954 the cylinder head on the Ulster cracked. He cannibalised a replacement from a 1936 Austin Ruby, filled its combustion chambers with bronze and ground them to the required shape. He must have done something right because the little Ulster's top speed increased to 87 mph! 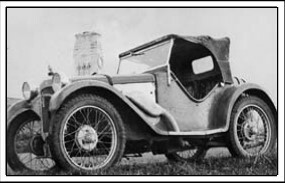 Bruce ran the Ulster for three years in all and by the end of that time it was a completely different car to the restored machine Les had given him. The springs were all changed, as were the wheels and axles and the short tail became a long one. One thing never changed though: for its entire life with the McLaren household, how quickly the car came to a halt was limited by the speed with which the driver could go down the box. The official brake system was always worse than useless but Bruce went along with the Ettore Bugatti philosophy that brakes are not essential in a racing car as they only slow it down. In August 1955 he decided to sell the gallant little car for £280, a sum which, with a borrowed £30, was turned into a Ford Ten Special and Bruce's career was up and running. But he never forgot the little Ulster. In 1989 it was spotted in a museum in New Zealand's South Island and McLaren bought and restored it.